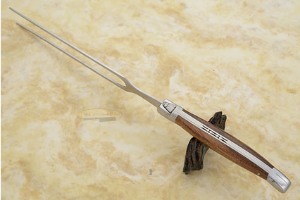 Description: The highest quality Laguiole carving set you can get! 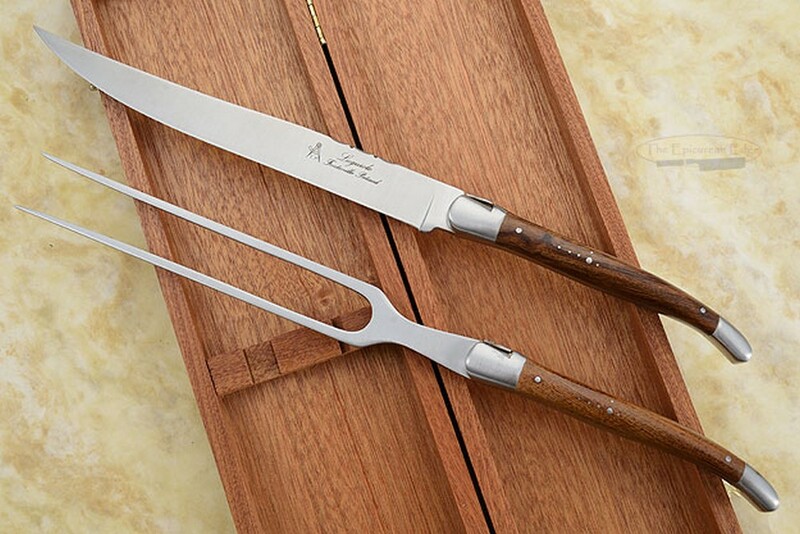 We are very excited to be able to be able to offer Fontenille Pataud's handmade Laguiole carving set. 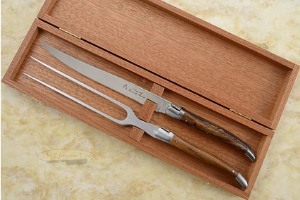 This carving set contains one large knife and one large carving fork. The blade is hand fileworked along the spine. 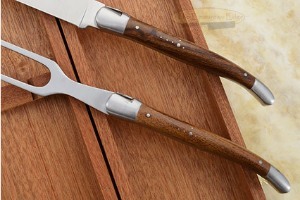 The handle thickness is 7mm, making it comfortable to use in the kitchen or at the dinner table. Ironwood has characteristic warm brown tones and darker striations making it a beautiful choice in materials. Each handle is perfectly finished to a luster and immediately grabs attention. The natural wood scales are set on integral full tangs for strength and durability. The handle is inlaid with a traditional shepherd's cross and the Laguiole bee is featured on the bolster.